On the 6th of October our founder, Matt Tomkin, will be participating in the Wadi Rum Ultra Marathon all in an effort to raise money for an excellent cause, the Lagan’s Foundation. What is the Wadi Rum Ultra Marathon? 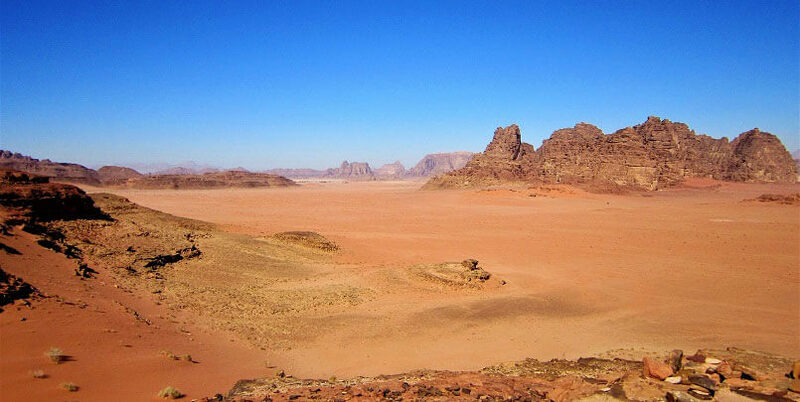 Taking place in Southern Jordan is a multi day marathon called the Wadi Rum Ultra. The marathon runs over a course of 5 days and consists of 250 kilometres of hard terrain and gruelling heat. Famously nicknamed the ‘Valley of the Moon’ the course covers a vast amount of historical sites, ravines and breathtaking sand dunes. The WRU is known as one of the longest and most challenging, foot races in the world. Matt will be taking on this challenge all for Lagan’s Foundation. When Carren Bell sadly lost her daughter, Lagan, in 2011 3 months after she was born she decided to set up Lagan’s Foundation. Lagan lost her life to complex heart defects and so Carren set up the foundation in order to provide support to families going through the same as she did seven years ago. Lagan’s Foundation is a wonderful charity that provides a great deal to families also contending with children that either have acquired congenital heart defects or feeding difficulties. Temporary at home respite for families with babies or children under the age of 5 with acquired congenital heart defects and feeding difficulties. Allowing primary carers to take a short rest while a highly qualified volunteer will take on some of the responsibilities. Support and information for those families that have just learned of a diagnosis and seek more answers. Providing more communication especially with those who are going through the same difficulties. Bereavement and emotional support to families. Increase awareness of congenital heart defects and feeding difficulties. Especially when it comes expressed milk donations and to encourage donations too. To find out more information about Wadi Rum Ultra click here. Also click here to read more about Lagan’s Foundation and to read more about Carren and Lagan’s story. Enter your email now for more Tips, Tricks and exciting bits on Digital Marketing best practice. Join the others and gain an unfair advantage on your competitors!